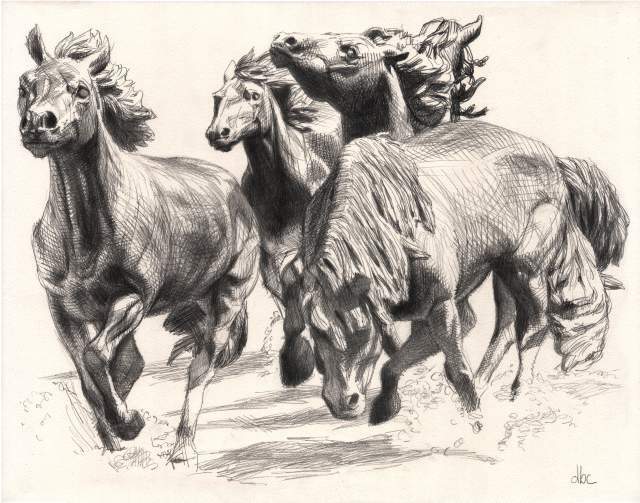 This drawing is based on a great sculpture in Irving, TX called “The Mustangs of Las Colinas” by Robert Glen. I took a few photos there last year and this drawing was made from one of them. It’s drawn in graphite, 11×14 inches on textured pastel paper. 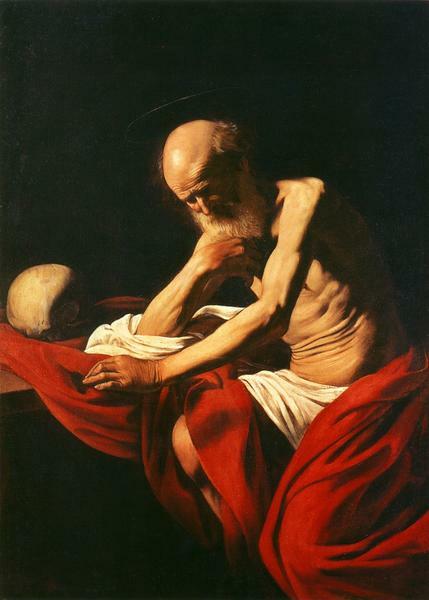 After speaking recently with another artist I realized that when most people hear the word “chiaroscuro” in relation to Art they immediately think of the paintings by Caravaggio. 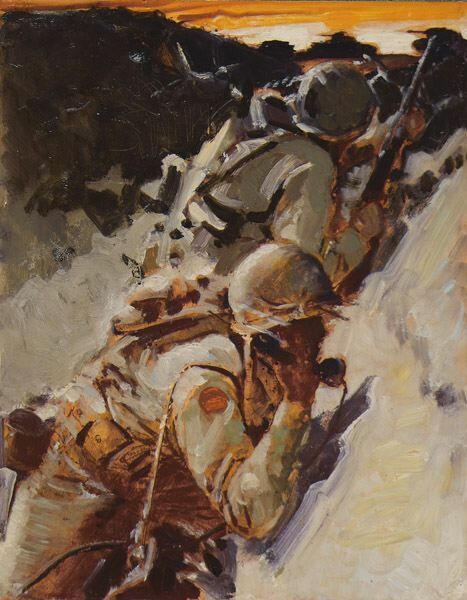 His visual style involved a lighting technique showing sharp value contrasts of brightly lit figures and dark backgrounds that he used for dramatic effect. However, the use of the term actually goes beyond that application by itself, and includes images that display a more subtle range of values from light and dark (its literal translation,) all set on a middle-toned ground. You can find this often in drawings and prints, but also in paintings as well. 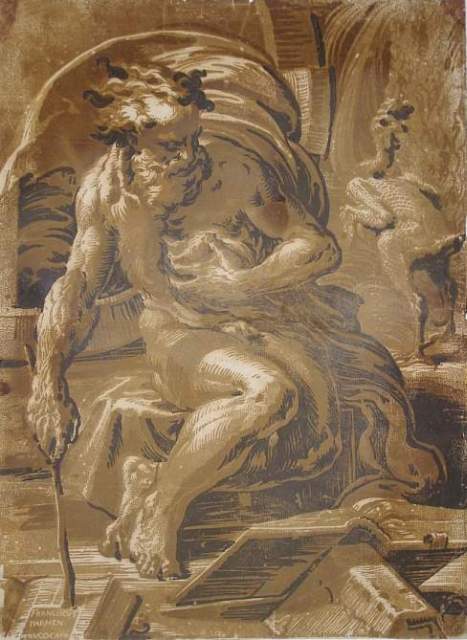 The way a “chiaroscuro drawing” is usually identified is when toned paper is used as a middle value with darker and (possibly) lighter tones drawn or painted in. The root of this effect is traced back to ancient woodcut prints. Typically the white areas in the print come from the paper itself, and the rest was ink, as in this print by Ugo da Carpi of Diogenes. This limited use of values has a long tradition that extends up to recent printmaking techniques. 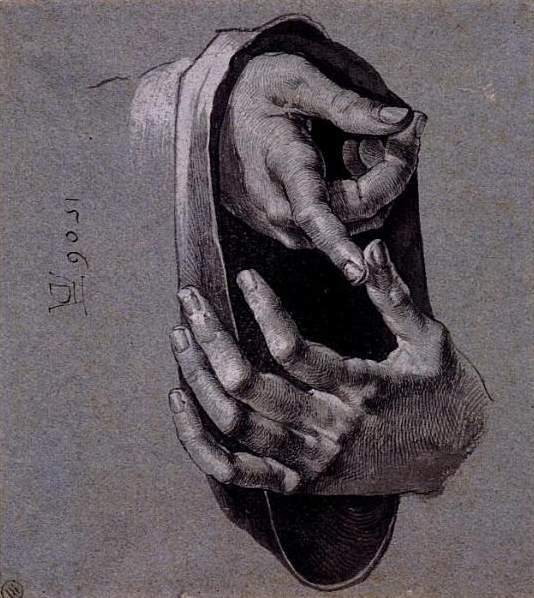 An alternative method is this drawing by Durer using solid black, a middle value of gray, and highlights of white painted in. 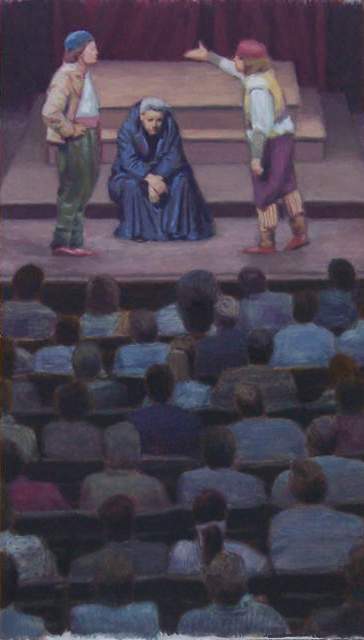 Inexpensive printing in the late 20th century used a two-tone (“duo-tone”) process with two inks, typically black and another color of a middle value, as in this image below by James Bingham. 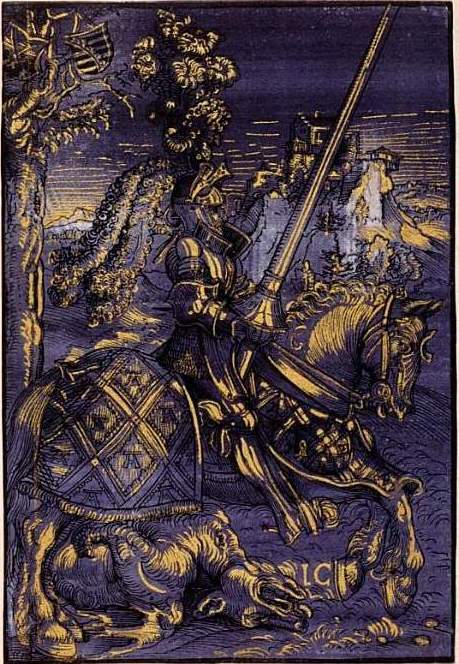 Compare that to the Lucas Cranach woodcut made in the 15th century. 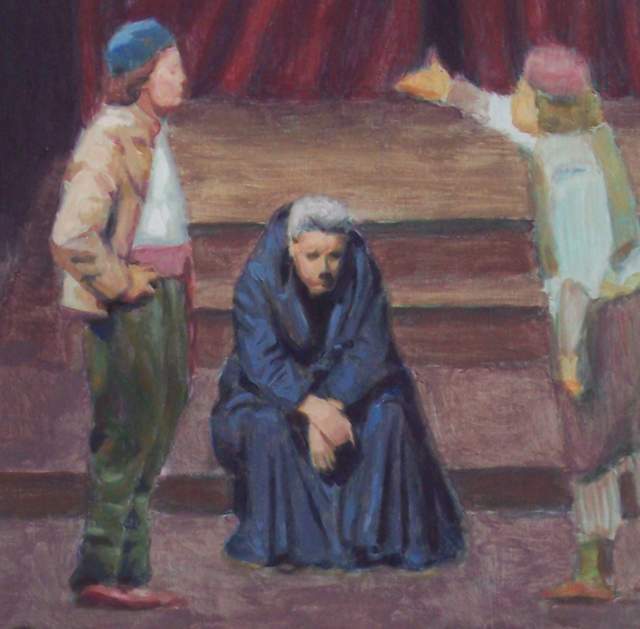 In painting, an imprimatura wash of color at the beginning is a very old technique, but it’s often used in an interesting effect by leaving that tone visible in the final stage instead of covering it all up with glazes, as tradition dictates. Look at this Mead Shaeffer illustration, for example. Notice how the orange in the sky is also exposed in the foreground figures. 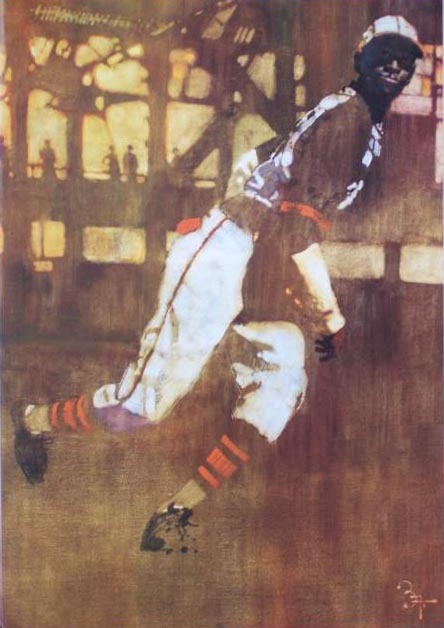 This layering of tones can also include texture as well, and no one did this to greater success than the great Bernie Fuchs, as in this painting of Satchel Paige. Not only is the initial background tone still visible, it’s the most important part of the whole spatial relationship of shapes in the painting. The vertical streaks flatten the depth of the image with just enough detail added so our eyes can fill in the missing forms. He carries on an ancient tradition by wrapping it up in a contemporary technique. It is fitting for me to close this article in celebration of the art of Bernie Fuchs, who recently passed away. His art has been an inspiration to me for decades and I will forever be grateful to him. Finished? Well, maybe. At least I have it far enough along now to let it sit and analyze it for awhile. 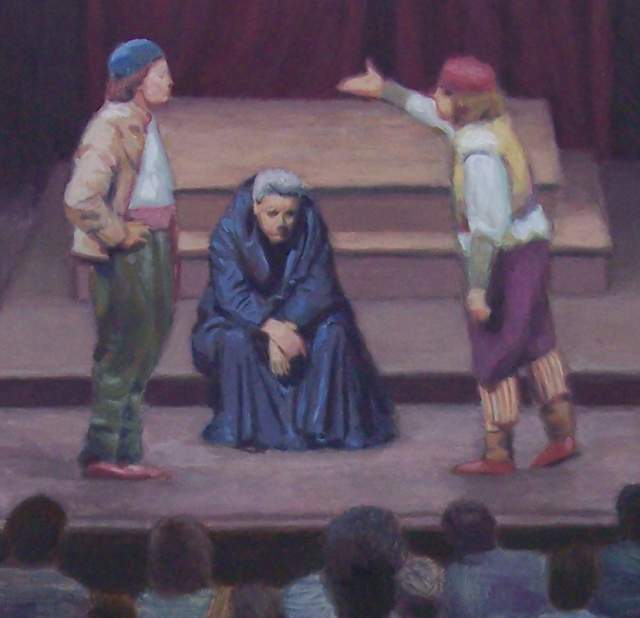 The title will be “Faust Gets Lost In Verona,” casein paint on wood veneer, @ 12 x 20 inches. Making slow progress still on this painting with work interuptions, but here’s the latest version. I’ve gotten the rest of the background laid in and have worked on two of the main figures. I’ll finish the other guy and polish up the background hopefully in a couple more days. 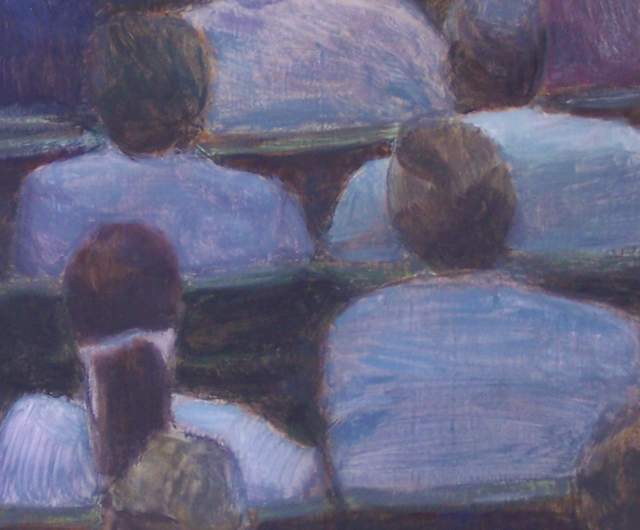 Can you guess the subject of this painting? The image filename should give you a clue. I’ve only been able to work about an hour or so on this each day for the past few days, so there’s not much to show, but it is moving forward. Here’s the latest version working up from the bottom. This weekend will have more interuptions, but hopefully I can sneek in more time on it. 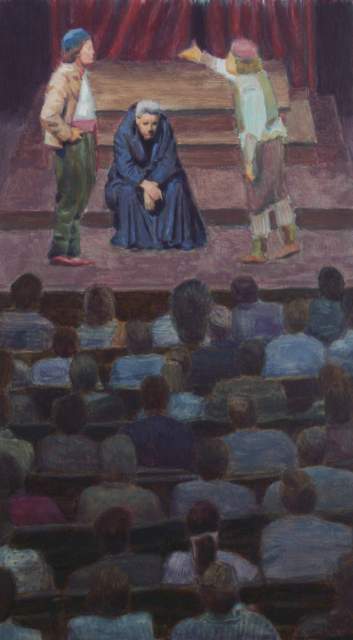 This is painted in casein. I’m keeping it a bit wetter than usual since I want the edges to be soft and blurry in this dark section of seats. I’ll likely come back to it at the end. For a slight break in the action, I thought those of you struggling to master the fine art of portraiture might appreciate this gem of educational insight. It comes from Mort “Irving” Drucker by way of the fine literary magazine, MAD, circa 1966. See how simple he makes it look? I would post another one about drawing feet, but it stinks. 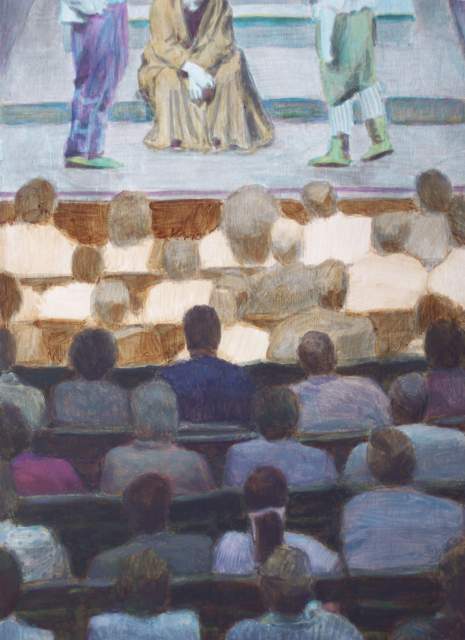 You are currently browsing the Artwork by D. B. Clemons blog archives for September, 2009.